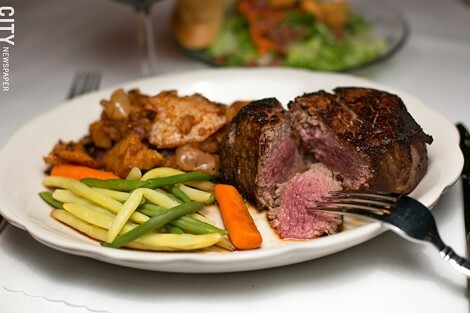 A filet mignon and vegetables served at Grinnell's. The Monroe Avenue chophouse is a Rochester staple, having existed for more than 50 years. Pastas at Lombardi's in Fairport. A Belgian endive salad at Victoire. A Belgian sausage sandwich with frites from Victoire.